Shun Den Iron Works Co.
Jan 08, 2016 | By CENS | SHUN DEN IRON WORKS CO., LTD. Shun Den’s hex-key wrenches and screwdriver bits feature exceptional durability and quality to even exceed those of rivals made in industrially advanced countries. 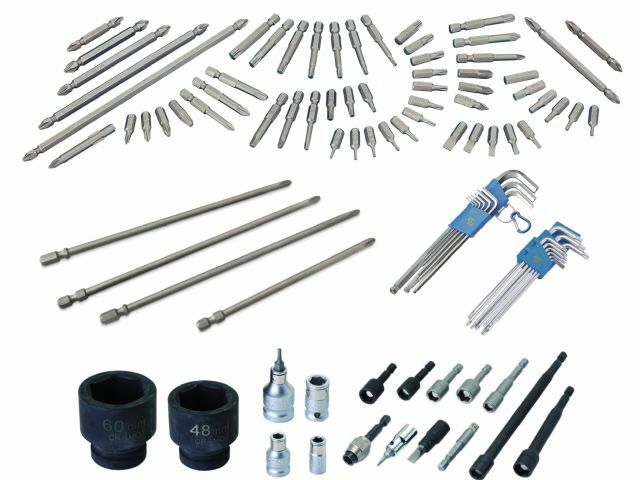 With more than 50 years of expertise and experience in thermal treatment, Shun Den Iron Works Co. is promoting its high-quality hex-key wrenches and screwdriver bits. Having been treated with the company's special thermal-treating technology, the hex key wrench has higher surface hardness and structural flexibility than most competing models made in Japan and Germany, as well as featuring high torque, resistance to wear and long lifespan. Shun Den's hex-key wrenches and Torx hex key wrenches continue to enjoy increasing popularity among end-users for relatively longer lifespan than that of the Japanese E brand, an advantage valued by both professionals and week-end do-it-yourselfers who simply don't want to spend money unnecessarily to replace tools frequently due to short lifespan. The screwdriver bit is also another professional-grade tool produced with Shun Den's conscientious work ethic that achieves top quality, as well as having undergone destructive testing to comply with DIN7504 standards without showing deformity, cracks or breaks. This bit has five times the structural durability of competing models of globally known brands of its kind in Germany and Japan. Religiously believing that outstanding quality underpins product value, Shun Den insists on carrying out the strictest quality tests and inspections on each tool to assure its customers receive only the best products with consistently high quality. The company continues to develop high-quality hand tools and will bring newly developed models with improved features to market in the short term to satisfy professionals and end-users worldwide.